Parking at the Hospice is very limited, but is allowed without restriction on the main road, and at weekends in Reedley Hall. 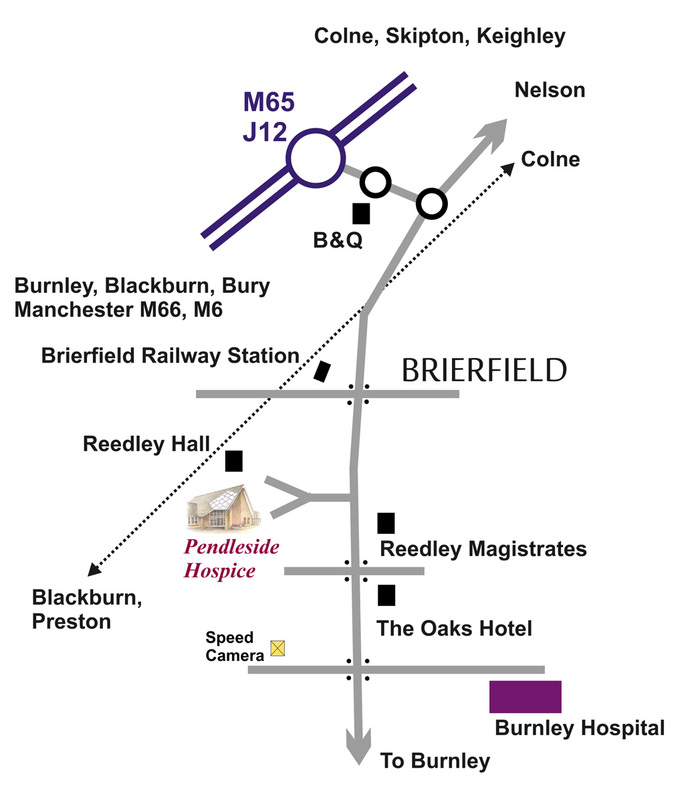 The Hospice is on a main bus route from Burnley, Nelson or Colne, with Direct services from Manchester, Keighley and Skipton at frequent intervals. The most frequent services are Numbers 17, 20-25, 28-29, 40, 71, 99, 206, 215, 743, B1, B7, B8 and B28.